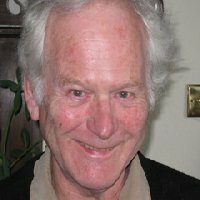 Having had some Alexander Technique in Cardiff, I had a wonderful sense with Gail of being 're-bodied' how you should be - a sense of release, particularly in the spine and joints plus a recovering of an awareness of the mind/body connection, which is normally lost in the stress of life and unconscious bad habits. The nice thing is that the muscular and mental adjustments necessary are terribly small to have a very large, deep and lasting effect. In the end, Alexander Technique is great value for money; people don't think twice about spending money on their car or their hair, but this has a lasting effect on the body and mind forever, saving pain and distress and lost time. Over many years of teaching and directing, I realise that many students, as well as professional actors and singers I have worked with, have postural and movement difficulties underlying their breathing and voice problems. If they attend Alexander lessons, then we have a mutual understanding of structural problems and can make very swift progress with voice development. For the kind of performances I direct, I need performers who have a real understanding of the coordination of body, breath, emotion and voice. I can usually tell if they have studied Alexander Technique, as this flexibility and awareness is evident. The wear on the body-system for performers is much greater than in 'everyday life' - and the extra support Alexander Technique offers is very helpful in preventing or reversing bad physical or vocal habits, whether as a musician, singer or actor. I find Gail's teaching creative, sensitive and very focused and I have no hesitation in recommending her work, especially for performers. I love the way the body thinks for itself. After Gail's class I realised how little I truly know about my body and its potential to be freed and expressive. As an actor, understanding the body and having it in peak condition is vital and after just a short time with Gail I now know more about what I should be doing! After just a few exercises, I feel taller, more in control and more relaxed in myself. I can't wait to try out a scene or some singing now! Gail is incredibly bright and bubbly and her enthusiasm and understanding of the Alexander Technique was clear from the start. She made me feel at ease, but more importantly, her teaching really makes a difference! I feel I have gained knowledge of the body that I never knew before. It was brilliant! I definitely think differently about my arms now. They feel more relaxed, free and light and I don't feel like I'm putting a strain on my shoulders. My whole body feels a lot more free. I feel like I have better posture already and that gives me more confidence to perform! It will now make me question my bad habits that I had before and I know that having had Gail's help, I will be able to correct these. Gail is great. 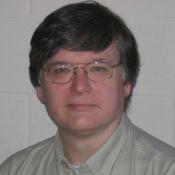 She has been extremely helpful and her style of teaching is excellent. She is constantly making you feel at ease and is constantly giving praise, which makes you feel more confident. She has a great sense of humour and certainly has a love for what she does! I can't believe how much difference I can feel in my arms. They feel lighter, free-er and relaxed. It makes performance more comfortable and I feel it really opened me up to the audience. It makes me feel more present on stage. I can't wait to see what doing this regularly will do to my body. Gail's teaching is thoroughly enjoyable and very accessible. I had a great time as well as a real insight into the Alexander Technique. From just learning more about the structure of the arms and how they move, I am able to move and use them in a more beneficial manner so as not to cause the typical Western distortions. My arms feel freer and are moving with a lot more fluidity, as if in water. When feeling the bone movements, they move more freely, whereas before the joint felt 'gritty'. It's as if the muscles are now working FOR my arms as opposed to just WITH them. I think it was very beneficial. Gail's manner is calm and her teaching is completely understandable. Nothing is rushed and she has a great energy about her. Because she's enthusiastic to teach, you're enthusiastic to learn. My whole upper body feels opened up, more free, relaxed and strangely more efficient. Movements which did feel labored now feel easy and simple. All my muscles from my back down through my arms feel far less tense. While feeling more free and loose, I also feel at the same time more centred and strong. The work opened my whole body out in performance, making me more relaxed and less uptight even with an audience. It also enabled my vocal work to improve both in resonance and in projection and I was not straining at all. Gail's teaching is fun, informal, highly informative and extremely effective. Brilliant! Thoroughly enjoyable and helpful. The difference I feel in my body is amazing. Before my arms were very stiff but now they so free, light and easy to move. As an actor it has opened up my body more and has changed how I would present myself to the audience, both through the body and the voice. 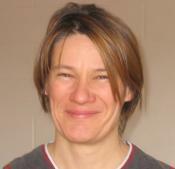 Gail's teaching style is very easy to understand and an enjoyable experience. I would love to work with her again! I've always had trouble with my posture and the way I walked and I am so surprised how much of a difference this work has made to not only my posture and the way I speak, but the whole of my body. As an actor, injuries are common but using this Technique in everyday life and on the stage is going to change my life dramatically. Thank you! Gail is very clear and helpful in her teaching. She talks TO you rather than AT you and makes you come to your own conclusions. I was very slouchy and unaware of my body and movement before the session. Now I notice every single move. I'm less tense, more free and very awake in my movement. I know now how to move without causing stress to or distorting my body. I'm so much more open in my movement and I don't feel sluggish any more. It's incredible! I will definitely become a lot more grounded as an actor, not only in movement but in my voice as well. Gail teaches in a way that allows you to feel totally comfortable. She has totally opened my performance. Truly, honestly inspirational. I enjoyed every minute of it. My whole upper body feels so much more relaxed and free after just one 'taster' session! Gail helped me to think about so much more than just my arms and enable me to understand how they affect my whole body and posture. At the end of the session I was able to move my arms and shoulders without any of my usual discomfort, clicking and clunking! Seeing the difference in other members of the cast was also amazing and we will definitely all benefit in our performances because of it. The whole cast look more relaxed and confident, which will help us when on stage and give us more clarity in our characters. Amazing session - please come back again! Gail's teaching is fun, very enjoyable and full of energy and enthusiasm. She made learning about the body very interesting and I shall definitely be applying the Technique to my everyday life, as Gail has made the principles so easy to remember. Thank you, Gail! I felt the session was extremely useful. In general the students looked and sounded more open. 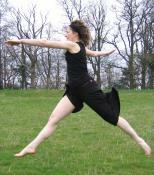 Their movement was freer and developed a lightness and flow which had been lacking in some before. In a few cases there was a radical difference - these were the students who had a tendency to pull down and forward in the neck. Their progress was particularly striking with noticeably more space around the shoulder/neck relationship, open chest area and also greater height. Their voices were in general more released and confident. The impression was that some had dropped in pitch. Others had developed a wider spectrum, sounded richer and with a more pleasing timbre. Gail's explanation of the Technique and the underlying anatomical reasoning is clear and accessible and even entertaining! Gail is an ideal teacher for performance issues, as she is such an open and communicative person. I would have no hesitation in recommending Gail Barlow's work to any theatre or performance group or to any individual seeking one-to-one help. By the end of my very first lesson with Gail, I had come to the conclusion that she is an exceptional teacher of the Alexander Technique. She combines an excellent understanding of dynamic anatomy with clear-minded intelligence, enthusiasm and humour. Thanks to her lessons, my oboe-playing has improved significantly and feels much more rewarding. 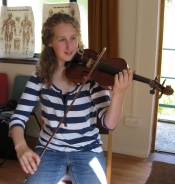 Through Gail's work, I have discovered that everything about playing is interconnected with such things as the angle of my pelvis and freedom in my neck being just as relevant to effective breathing and a lovely tone as the rib movements. Performance nerves have also become easier to deal with, because I have learnt how to focus on the physical aspects of playing which can help keep the emotional side in balance. Obviously with the oboe, as with any wind instrument, an effective breathing technique is absolutely fundamental to good playing. Without it, all sorts of tensions are created in the attempt to control tuning and make a lovely sound. Although I followed the usual instructions oboists are given about breathing (I studied oboe at the Royal Academy of Music and did a degree in music at the University of Edinburgh), I used to feel constantly breathless and uncomfortable and had no idea how to improve matters. 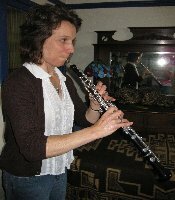 Because of my faulty breathing and general tension, I used to play with a great deal of tightness in my face, throat, chest, hands and arms, which created a number of problems and caused my embouchure to tire quickly. In order to teach me to breathe properly, Gail addressed a number of issues: the way I stood/sat; the way I held my pelvis; the way I held my hands and arms; the movement of my ribs; jaw, throat and neck tension; and the way I held my head. The whole thing finally came together when I learnt to release my neck and drop my pelvis fully on the out-breath. Then, at last, it became possible to take a truly deep breath - wonderful! I find that when I breathe in the way Gail has taught me, there are a number of significant improvements in my playing: the tone is more resonant, 'alive' and even; I can control the tuning and play the second octave key notes without having to tighten my embouchure and spoil the sound; my fingerwork is more fluent; I can play for much longer without tiring; I can play for much longer without needing to breathe; I can tongue more quickly and cleanly; I can express the subtle nuances of the music more effectively; the sound carries better, even at pianissimo. In fact, I recently had to play the dreaded solo in The Silken Ladder and managed both the breathing and the tonguing without difficulty - and I used to think they were impossible! Although it is difficult to change long-entrenched habits, I find it easy to keep working at the points Gail has taught me, because the rewards of better tone and greater ease of playing provide the perfect incentive. I also very much appreciate the way she promotes independence: explaining clearly how each aspect of the body works and making sure her pupils can find the new way of doing things for themselves, so that it is usually unnecessary to have to address the same subject again in another lesson. An unexpected benefit, too, is that I now find I can effectively tackle other areas of my playing that I am unhappy with. From seeing how Gail works, I have learnt to apply a similar approach - observing and analyzing exactly what I am doing so that I can identify the real cause of the problem and thus find a solution. Although I am far less adept at this than she is, it is nonetheless very useful and knowing that I can deal with difficulties myself increases my confidence. I cannot thank Gail enough for helping me to improve my oboe-playing and find so much more happiness in it. It used to feel like a constant struggle, trying to produce beautiful music against a backdrop of considerable physical discomfort and lack of confidence. Now, when things are going well, the sound of the music as I imagine it is almost at one with the music as I play it. It feels so wonderful when that happens! Even though I have only had three Alexander Technique sessions so far, I have found a level of comfort as I play now rather than the feeling of tenderness that I used to get and it was always in the background affecting my playing. My shoulders, neck and back were very tense so by the end of a concert I felt very uncomfortable. Now I feel I have the tools to be able to sit or stand with the violin and play in comfort. I feel physically in harmony with the violin and this in turn improves the sound that I make. Gail is an excellent teacher and is able to explain what she is driving at very quickly and easily. She inspires confidence and our sessions are always easy and jolly. Before Alexander Technique, when I played I felt tighter and tighter in my back, shoulders and neck as the rehearsal went on until by the end I was in a lot of pain. I want to make music my career and I know of several musicians who have had to stop playing because of problems due to posture, so I didn't want that to happen to me. So I have been taking Alexander Technique lessons with Gail and much of what we've done has been work on playing my violin or horn. Now I play without pain and with much more fluidity. As well as feeling much more relaxed as I play, what I notice is that the sound is richer, freer, the tone is more rounded and consistent and I can be more expressive because I feel more part of the instrument, so less gets in the way of the music. I am about to go to the Purcell School for Young Musicians where I will be playing for even more hours in the day. I feel I now know how to look after my body in an Alexander way as I'm playing and I feel confident that I will know what to do if I do get any problems. Gail is a very clear teacher and I like the way she uses bones to demonstrate what's happening in my body. Each session is tailor-made to me and I feel she really cares about my progress. When I have a breakthrough she whoops with delight! 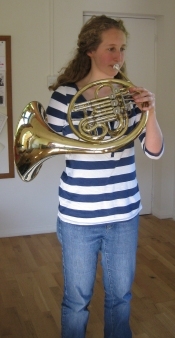 She has so much experience and confidence that, even though she has never played the horn, for instance, she can still experiment and work out the best way for me to play and hold the instrument. It's amazing how Gail can straightaway see what's wrong. She either moves me into a slightly different position or she reminds me to make a minor adjustment and it makes a massive difference. Because Gail is a singer, she can hear the subtle differences in the tonal quality and musicality and this is really important to me. The lessons are fun and it doesn't feel she's my teacher like in school. It feels much more like a friend who really wants to help. I also love the way she will suddenly burst into laughter or song! I don't feel criticised at all. Some things have been difficult to change, but I never feel I won't get there in the end (and I always do!). I have always enjoyed playing the piano, but never managed to play it as well as I wanted to. Practising did not significantly improve the random mistakes I used to make. Although I could feel that the problem was caused by excess tension in my arms and hands, I could not manage to relax them. It was also difficult to play quietly and expressively without tensing up further and making even more mistakes! Since I have had Alexander lessons with Gail, my playing has improved because I am more relaxed and can use my arms and hands more effectively. Now I can convey a lot more expression, I don't make nearly as many mistakes and the tone is mellower and more lyrical. I hadn't realized how much I could affect the sound of the piano! It is lovely to play so much better and it is very much thanks to Gail. At the 'Freeing the Arms' workshop I have gained an understanding of how fluid it might feel to be able to use my body more freely and without tension when I am conducting. As the conductor, I noticed a fuller sound from individual players, which in turn created a richness of tone for the group as a whole. People seemed more open physically, which led to a more relaxed way of playing. I feel very excited by this and would be keen to explore the mental and emotional benefits this could bring to our performance. Gail has a very warm and clear teaching style, which made us feel comfortable and safe to try things out. Very inspiring! Gail's style was one of equality and encouragement, involving each person in the whole process, and at the same time being aware of the group process. I found the workshop excellent for tone production and freedom of movement, both mental and physical. Gail's way of teaching was very liberating! The workshop has loosened my whole body up considerably. My arms feel freer as I play where usually they are too tense. I shall bear it all in mind when playing my big solo part in the concert in two weeks' time! Gail is a good teacher and I learnt a lot. After doing the Alexander work, it felt so much easier to play the oboe and the sound I made was so much more resonant, even and flowing. Gail's teaching is excellent; very clear explanation, clear focus and extremely interesting. Before the workshop, my arms and body were generally tight with the result that I got less resonance from the instrument. The way I held the violin did not feel natural either. Now my arms feel more free and my bowing arm is much more fluid than before, giving a more open, resonant sound. Playing the violin now feels more natural. After the workshop I feel a much greater freedom of movement, especially in my bowing arm. Hope I can remember it all! Gail is an excellent natural communicator and is very clear in her demonstration. Before the Alexander Arms workshop, when I played my flute, I felt very closed and tight and 'lumpy' and my arms were really heavy. Now, after working with Gail, I just feel free and comfortable and especially open and light. She is very direct and informative and clearly knows exactly what's going on in me, even with subtle changes. After the workshop, I find it's much easier to hold my viola. My arms feel free and the movements have become more natural. My sound has become a lot better; it sounds free, open and I'm even moving a bit while playing. Gail can explain and show exactly what we want to achieve. She is a very good teacher. I shall certainly incorporate arm release techniques into each warm-up session before practising my violin. It was important for me to discover that transverse bow movements achieve a better sound than vertical weighted motion into the string. Gail is friendly and actively put into practice and demonstrated herself what she wanted us to achieve so it was easier to imitate. 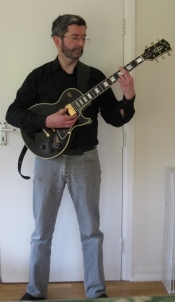 I now feel more relaxed and comfortable as I play and I have a better tone and slower vibrato. Plus I have a better knowledge of anatomy as it relates to my playing. Gail is fun, lively and explores all aspects. Before the workshop I felt playing my instrument meant my whole body was very tense. Now I have been taught how to relax and so prevent cramp while performing/practicing. My injured wrist which had been causing me problems in playing my guitar now feels free. Gail has a very hands-on approach, providing some general pointers as well as catering for specific pupils. In this workshop I have gained a better understanding of the arm and how to relate playing with this plus I will now be able to warm up the body effectively before playing. Gail is clear and works to your pace. Individual attention is given if needed. Before I felt my shoulders were quite tight when I played my flute, especially my left shoulder. After the workshop, they feel more free and relaxed and the tension has been released. Gail is clear, informative and manages to give some individual attention although in a group. 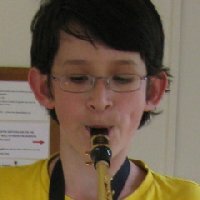 I started learning the saxophone after I had started my Alexander Technique course (for knee/cartilage problems) and so I was able to use things I had learned and it helped my standing and sitting to play. In particular, I found my breathing, my embouchure, my use of the diaphragm and my jaw movement in playing were all much easier. All the students Gail worked with were more relaxed, more confident and more fluid in their playing. I noticed Leo's posture looked much better and he seemed much more at ease with his instrument, so that he could then concentrate on the music. Gail's teaching is always friendly, warm and informative. I found Gail's work really, really helpful for relaxing my muscles, which is the most important thing when playing the trumpet. It has also made a difference to my breathing, in that I am not closing my throat as much and so the airflow is better. I was born with a bit of a clubfoot, which made me stand awkwardly and put pressure on my knees, causing constant discomfort when I played. After only working with Gail first of all as one of her 'masterclass' demonstration volunteers and then later the same day in a private session, I was amazed to find my left foot starting to form an arch again and I could play without discomfort for the first time ever. I have continued to do what Gail taught me on that day and now my foot is a more natural shape and I feel a lot more balanced on my feet when I play. Gail was really friendly, really positive and really easy to understand. Everything was well explained and you really felt you were getting something out of it. At a masterclass for jazz students at Birmingham Conservatoire of Music, world famous drummer Elvin Jones (in his seventies) was asked by a student drummer about the height of his drums and stool and about his legendary energy levels. He replied: "Posture is really important. I have to be comfortable and relaxed when I play and that means being at the right height and being centrally balanced". Having seen and participated in Gail's classes, I would unconditionally recommend instrumentalists and singers to attend her courses. 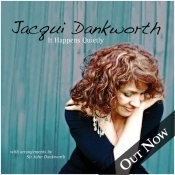 In my opinion her work is extremely relevant and valuable for all performers. I noticed it and everyone in the group agreed that not only did Alexander Technique improve people's sound but it also made them more rhythmically secure. This is as well as the personal physical benefits experienced. Even though we only had a short introduction to Alexander Technique, the benefits were obvious to those of us who took part in Gail's workshops. It would be good to make her work a regular feature on our courses. The whole thing is really important for jazz musicians. I had a half hour session with Gail on standing correctly to play and after that I played completely free of tension. I have no hesitation in recommending her courses. The classes with Gail were all extremely relevant to what we are doing as jazz musicians. I consider her work to be essential. Before Alexander Technique, I had significant lower back trouble and was taking strong medication. After my course, the back pain is largely controllable without medication. Before, I was aware that there was an imbalance in my posture - I tended to lean to one side - and now I feel symmetrical and balanced. As a result, I am much more agile and free in my movement. In terms of the guitar, Alexander Technique has helped me to hold a particularly heavy guitar without straining either my neck or my back. Before this, it was a problem which resulted in aches and pains around my neck and shoulders and my lower back. It also inhibited the freedom of my arm and finger movement. Now I am in much more control of my arms and fingers because I know where the muscles and structure of the arm are. I now work with that rather than against it as before, my playing is faster and more lucid and I am able to control the pressure of each finger equally. When I'm holding the guitar now, Alexander Technique has encouraged me to hold it in such a way as to not restrict the movement of my left hand and wrist. I now have speed and consistency in my playing and I am also using my muscles in the same way as I do to draw (Alexander Technique has helped with this too), so I'm thinking about the plectrum as though it was a pencil. In addition, my three back fingers are now acting as a counterbalance to my thumb and first finger. The principle is understanding what the arm and fingers do efficiently and so it's a case of bending the tool (guitar) to the needs of the arm and hands rather than trying to adapt the hand to the guitar, which is what I used to do. A musician is always trying to break the boundary between their body and their instrument, so that the instrument becomes effectively an extension of the musician's limbs. Alexander Technique has been fundamental in helping me to achieve this. Gail's teaching is systematic, thorough, well-exampled and constantly re-endorsed, so that what I learned at the beginning was carried through to the very end. She is amicable, sympathetic, discreet, always encouraging and not afraid to critique when I was going amiss - not in a negative way, but in a supportive and positive way. Alexander Technique changed everything I did. As part of my general Alexander Technique course, I learned how to play comfortably and found I could also play faster like this! My long-term elbow injury hurts less already. After three very short group sessions with Gail, I could feel the difference and continuing with it now, I can feel it undoubtedly makes my life better and more enjoyable. I can finally sit up straight without it hurting. I am no longer slumping to play and it feels so much more natural now. Gail's sessions worked really well for me. It was excellent. Gail is very positive and clear, not at all wishy-washy. The differences are instant, in that you can apply them straightaway to playing and singing. It was an all round very good start and I look forward to learning more. I felt in safe hands. Gail is a very positive and clear teacher and her use of the skeleton was fantastic. I immediately felt a difference and a sense of release. I think singers would really benefit from her courses. They were very good sessions which have helped me relax and breathe properly before singing and while I am singing. I am also able to release my neck and shoulders. Gail's teaching is very instructive and great fun. It's easy to get into and understand, so absolutely anyone can do it, whatever their age or level of fitness. As a jazz singer, to step out onto the stage with that Alexander sense of grounded, inner freedom is next to none! The Alexander way of being enables me to utilise any nervousness and turn it into secure rootedness and lightness. It encompasses everything - once you have experienced it, you come out of your head and into your body. Then the body intuits the brain and that's where real creativity comes out in terms of jazz improvisation. The Alexander Technique work was a revelation and an important part of my singing journey. Gail has a lightness of heart and is thoroughly engaging. She immediately put everybody in the group at ease and it was a very nourishing time. At every point and turn there were nuggets of real inspiration as she deftly combined the technical with the demonstration and the 'hands-on' experience. Before Gail's sessions I had noticed my voice was tight. The change was dramatic. After her sessions I felt very different - much lighter and freer in my movements and my voice is now free-flowing as I continue to do the Alexander work. Gail has a very accessible style of teaching; informative, enthusiastic and a lot of fun. Working with Gail, we really saw the relevance to singing and we could put things into practice straightaway. I was able to stand easily and to free up my normally somewhat rigid neck and shoulders. This made such a difference to my singing. I always wanted to sing but I was under-confident, especially about the deeper notes. I had no confidence, my voice was thin and reedy, I couldn't keep in time, I couldn't always keep in tune and I felt out of breath all the time I was singing. As part of my Alexander Technique sessions for my slipped disc and stiff neck, I wanted to apply the Technique to singing. Because of Gail's belief in me and because she built up my technical and performance skills, I can now sing in tune, in time, my voice is much richer, including the deep notes and my breathing just comes naturally. The improvement and Gail's encouragement built up my self-belief, so that recently I performed solo and unaccompanied in our local show in front of 60 people! It was a great success and people still stop me in the street to say how much they enjoyed it. 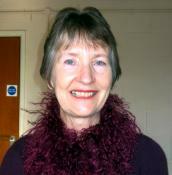 Gail is a relaxed and friendly teacher. She teaches with good humour, is welcoming and has an infinite capacity to explain, which suited my personality. Alexander Technique has made a difference to my life in all sorts of positive ways. 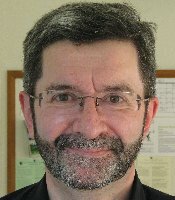 But in particular it has improved my singing voice considerably and has enabled me to develop into a confident main lead member of the B Natural Barbershop Chorus. I got lots from my one session with Gail. I've noticed a huge difference in relation to posture and particularly in the quality of my singing voice; the posture had really affected my vocal cords. Also, I had a couple of headaches coming on, but when I carried out the procedures Gail had shown me, they went! She is very clear and informative and I would certainly recommend her work. With Alexander Technique, there's a huge difference in my speaking voice and in my singing voice and that's increased my confidence as well. 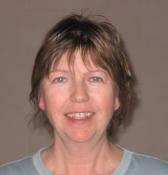 Gail is a highly skilled teacher who brings humour and sensitivity to her sessions. I had a general tightness everywhere but particularly in my throat. After Alexander Technique with Gail, my throat is less tight now and my singing is much better and more enjoyable. I don't feel I'm going to run out of breath or sound squeaky or feel strained. It has helped my breathing and when I'm singing I concentrate a lot on that. The result is that my back feels stronger and my singing feels supported, which is great. I feel much more relaxed and centred in my body. Gail's teaching is informative and fun. I would recommend her sessions generally and for singers; I found there was a dramatic difference in my singing as we worked. When I came in to Gail's workshop for Heartsong Choir, I felt crooked, tense and dense. My voice felt tight and my usual problem with lack of breath was with me. Throughout the course of the workshop I felt progressively looser and more open. By the end I felt taller, open and airy. Singing was easier, the note changes flowed and I didn't even think about my breathing because it was there. Great. Gail's teaching is relaxed, encouraging and fun while being very clear, focused and thorough. Excellent! I got great benefits from Gail's teaching. My ribcage feels much looser and so I have more breath control. This frees my voice to be more expressive and I don't have to take so many breaths plus I can sing longer notes without having so much tension in the voice. Gail's teaching style is free and easy. I feel not doing much sport any more that my body doesn't get the exercise it once did and I have higher blood pressure. So I was surprised to find that not only did the Alexander work help with my singing and particularly with my breath control but I think it is benefitting my blood pressure as well. Gail is informative, relaxed and friendly. I felt I gained better breath production and so I was freer to concentrate on my voice tone. I clearly felt the connection of my arms to my torso as one body part and that helped to free my voice. Gail has a relaxed and clear mode of teaching. After the Alexander workshop, I have better control of my breath. My chest feels looser and more open. My voice is stronger and I feel more confident about it. Gail's teaching is fun and enlightening and it all made a lot of sense. Alexander Technique has helped me to start correcting things before I got into bad dance habits. Posturally, I always have a strong neutral position to start from and it has helped me hugely with the mind/body connection, which is so important in dance. I use the Technique all the time to inform my dance training. Since studying Alexander Technique, I find that over time my body has taught me how I need to sit, stand and move and if I don't do that, I feel uncomfortable. It's a kind of 'constant learning', in that I didn't used to be aware of it and now I find slouching, etc is actually uncomfortable. With Alexander Technique I have learned that I can re-learn good habits and that it is all connected, e.g. tension in the neck and in the jaw affects the whole body. Alexander Technique has taught me to be more connected and to maintain alignment; I think about the head, neck and spine as a lengthening unit now rather than as disjointed disconnected bits. Gail is a very open, fun and exuberant teacher with a genuine passion for Alexander Technique who uses great images and loads of enthusiasm to share her knowledge of the Technique. She makes everything clear and uncomplicated and has taught me how to apply Alexander Technique to everyday tasks as well as to more specialised areas of my life, including dance and horse riding. My back had stopped me from dancing altogether. I had lost my flexibility and finally my back had seized up in terms of dancing. Now with Alexander Technique I am dancing again! I'm lighter on my feet, have more flexibility than before and I'm really enjoying it again. Gail is an effective, personable and friendly teacher who is easy to follow. I love to dance but before Alexander Technique with Gail and a new hip it had become impossible. I have now taken up African dance which is testingly energetic, but by putting into practice the principles of Alexander Technique I am amazed how easy it has become and how much more energy is available as a result! And I am far from being in the first flush of youth! As a tango teacher, I'm thrilled that Gail covered so many things that are glossed over or missed in dance lessons. For example, many teachers talk about being connected with the ground without being able to explain how to achieve it. I cannot emphasise enough how important body awareness is in a partner dance like tango and the workshop has given me some really excellent tools for me to pass on to my students. Gail engaged with me - and the group - from the first minute. She established a great rapport that held our concentration easily throughout the 3 hour workshop. The workshop was well-paced and flowed well. There was a good balance of anatomical explanation and practical application which gave us both the 'how' and the 'why'. She presented things clearly and answered all questions very well. I felt like she cared about each individual and no-one was overlooked. Honestly, I have rarely come across a teacher with Gail's depth of knowledge combined with such an engaging teaching style. I cannot recommend her enough. Having learnt to drop my centre of gravity in the workshop, my dancing now feels more stable and connected to the floor. This has improved my balance and fluidity while dancing. By the end of the workshop I felt I was engaging the strength of the middle of my body more and my shoulders less. As a result the dance seemed to take much less effort. The workshop has also been invaluable for my life outside the dance by giving me the tools I need to re-connect and relax my body at any time, eg the neck and shoulder blades. I have since changed the way I sit at work and I cam confident this is helping with my hip problem. Now after the workshop I have a greater degree of awareness of the whole that is my body and I am more aware of the constrictions placed upon my body by modern daily life. I can now work on the freedom of movement of my limbs and my torso. This frees up my body and allows me to dance with my whole body rather than to dance as I was before, ie by pushing my body. Gail is a wonderful advertisement for the benefits of the Alexander Technique. She has a very broad foundation of knowledge upon which she draws extensively during her lessons (I particularly enjoyed the embryology reference!). Her enthusiasm and joie de vivre fill her class with light and warmth. Gail is a brilliant teacher. She is passionate about the Alexander Technique and very interested in each of those attending her class. As a result, Gail's lively teaching is finely tuned to the learners' needs and just being in the class is a wonderful experience. Her explanations of Alexander Technique were fascinating, as well as being very clear, and she answered every individual's question in a way that was invaluable for all. The workshop was fun to be a part of. Gail has a great sense of humour and fun. She led the class in practising Alexander Technique and managed to give extensive one-to-one feedback at the same time with ease. Thank you again for a brilliant workshop! The workshop has given me insight into how my body works and what I can do to move in a better more natural way. It has helped me focus not just on my own dance but my partner's too. The Alexander work has made my dancing feel much better through a greatly improved connection. Gail's teaching is thoughtful and well thought-out. There was a good mix of theory and practice. The session was very relaxed and enjoyable. During and after the workshop I found more insight and depth into my sense of my skeleton and bones. I liked the detail of the anatomy and how it links to movement. Gail's teaching is enthusiastic, lively and detailed. 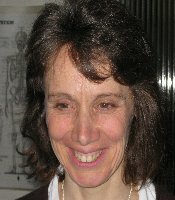 The principles of Alexander Technique I learned with Gail are compatible with T'ai Chi as it has helped me to move more fluidly in the T'ai Chi movement sequences and to free up my breathing. Alexander Technique helps me so much with Kung Fu, T'ai Chi and Chinese Dance. I have learned from Gail how to have a strong back, to be connected and flexible, to be able to lower my centre of gravity, to be able to focus on my breathing and to understand that all movements are connected in every part of the body, e.g. a simple hand movement might originate from the back. In the Chinese Dragon Festival procession, I was carrying the head of the dragon, which is extremely heavy. Without Alexander Technique this would have been very hard work and I would have over-used my shoulders. By using Alexander Technique, however, it was manageable and I could still enjoy the dance as the procession moved through the town. I have done a little Alexander Technique with Gail and it has made me even more aware of my body and my posture, for instance, I'm sitting comfortably upright now. I would definitely recommend Alexander Technique. Gail is an excellent, cheerful and happy teacher. She really does put it across well and is always smiling. It makes such a difference!